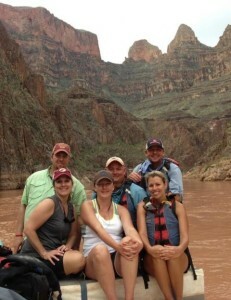 Our group of 6 took my husband on this Grand Canyon rafting trip as a surprise for his 40th birthday. The Western River reservations staff worked with me to keep the secret. 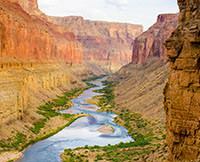 The Western River guides (Travis, RD, Joe, and Steven) were phenomenal! They even baked a birthday cake, complete with candles, on our last night! The guides were extremely knowledgeable and made "roughing it" so easy. I would recommend this rafting trip with Western River Expeditions to anyone seeking that bucket list vacation experience! Thanks for making this one that we will never forget!